Good photography can be the difference between a successful or ineffective eBay listing, and some sellers go to great lengths to capture their lots well, shooting at various angles in studio quality light and staging tasteful scenes to put the item in context. The amusingly named Danish Mafia are taking eBay presentation to a new level, using video for their latest auction. Their Hans Olsen Dining Set (a unique delight that we’ve covered before) captured in HD Quality 1080 video, meticulously filmed with a camera rig that captures the piece in 360° without human intrusion — until the slick demonstration at 1:10 of the table’s built-in expansion mechanism. This may mark the beginning of video as a standard for mid-century furniture listings on eBay. I expect to see more from other sellers in the near future. But it would take a lot of patience and expensive equipment to do it as well as the Danish Mafia have done. Excellent furniture design. Practical, space-saving and tasteful. I saw a similar set at Ikea. I’m sure NOT the same quality, but I had to mention that. 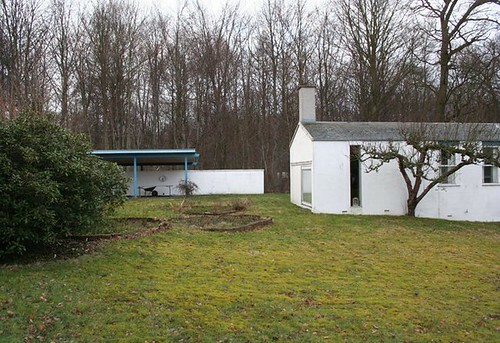 Mid century is getting more and more popular. Debbie – Yes, I mentioned Ikea’s Fusion in a previous post about the Olsen set. Certainly alike in appearance only. This was our dining table set. Long gone, sadly! Hot set, never seen that round design before where the chairs sit within the radius. HD video with 360 camarea pan is very cool. 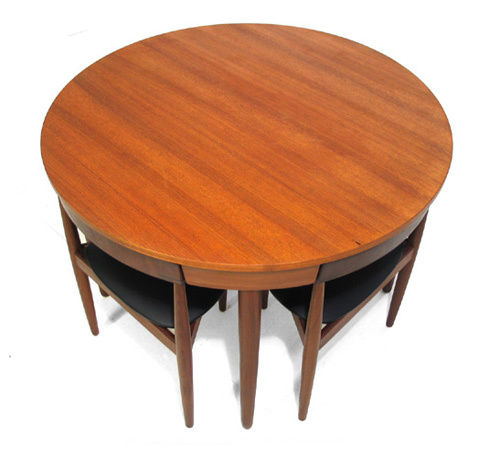 Danish Mafia seems to have a lot of Mid-Century/Danish Modern items. does anyone know if the top is solid teak, or does it have a fine veneer on it? Congrats, BB! Did you get the one in the video? One for sale in pristine condition at burlingameantiques.com. Great store, btw. .